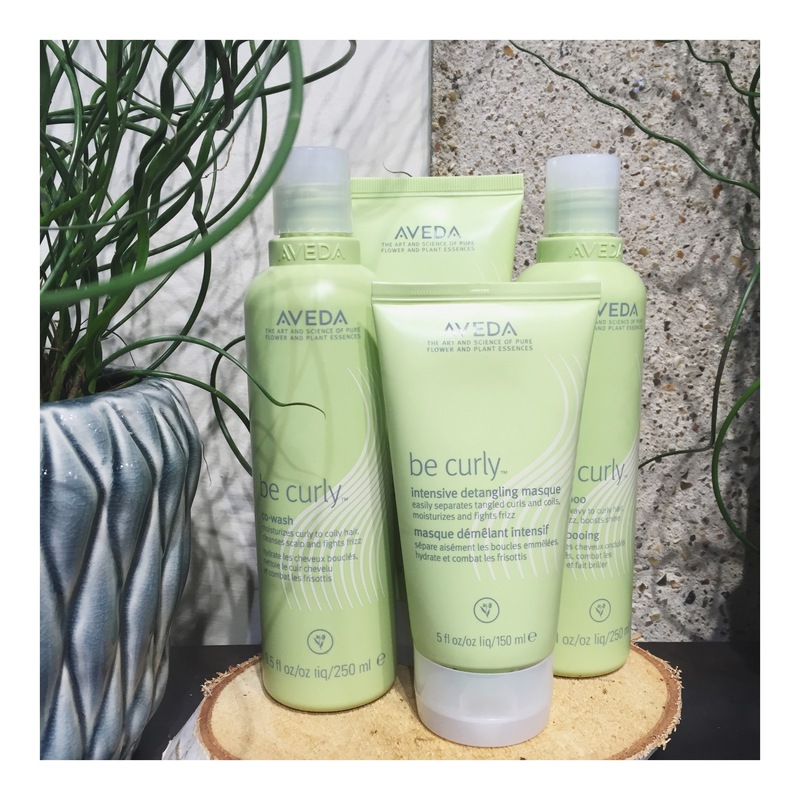 Workout Hairstyles with Aveda & Women’s Health. Earlier this week, I was invited to join the online team at Womens Health magazine at the Aveda Institute in London. I am a huge fan of WH magazine, so I was really happy when they got in touch with me, after discovering my workout pics on instagram. The Aveda Institute is gorgeous! I arrived a few minutes early, so I had time to grab one of their delicious green juices. It felt like a welcome and relaxing escape after a busy morning in London. 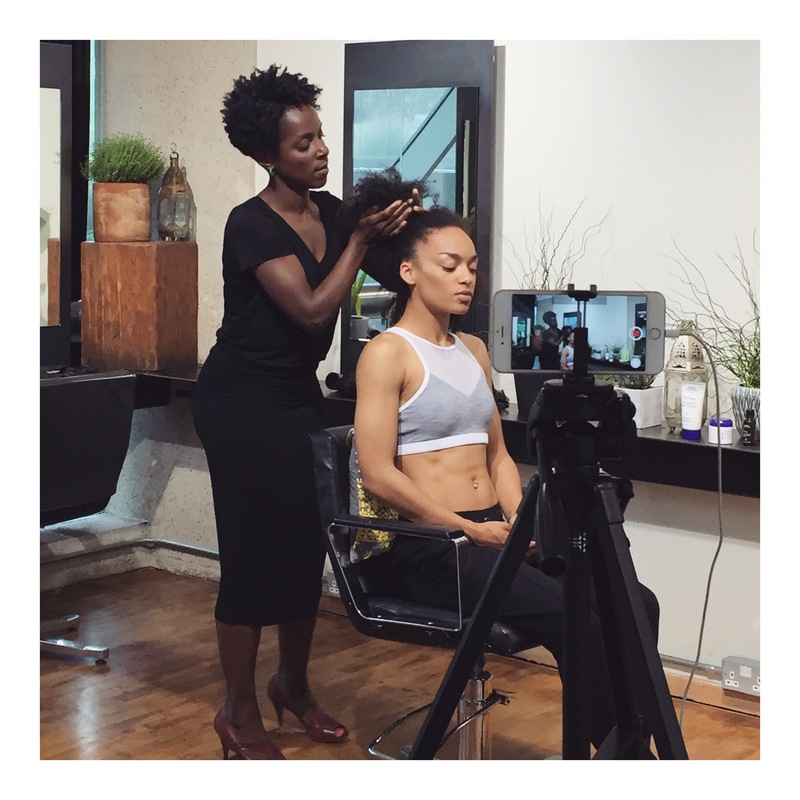 The Womens Health team are creating video hair tutorials, that will feature workout hairstyles to take you from, fitness studio, to street look, in minutes. As a women with Afro hair, I often feel that there is very little diversity within the mainstream hair & beauty industry. Many fashion magazines have beauty features, that only show white women with straight hair. I recently went to Topshop on Oxford Street to visit the ‘Hershesons Braid Bar’. I wanted to get my hair braided as I had an hour to spare before meeting friends, to go to an exercise class. I sat down and chatted with the girls that were working at the braid bar, I then selected a simple two braid style. I was quite surprised to see that all of the images on the braid bar menu, featured only Caucasian girls. The bar didn’t have any products that were suitable for Afro hair, they didn’t even have an afro comb! Shame on you Topshop! The lovely lady that braided my hair seemed quite embarrassed, as I took a comb from my bag, for her to use on my hair. She did however do an excellent job, as she was very experienced with braiding all hair types. I loved my new look and felt like I was ready for the hunger games! I am incredibly happy to be working with the Womens Health team to create these hair tutorials. The fitness chic styles were created by London based hair stylist Subrina Kidd. 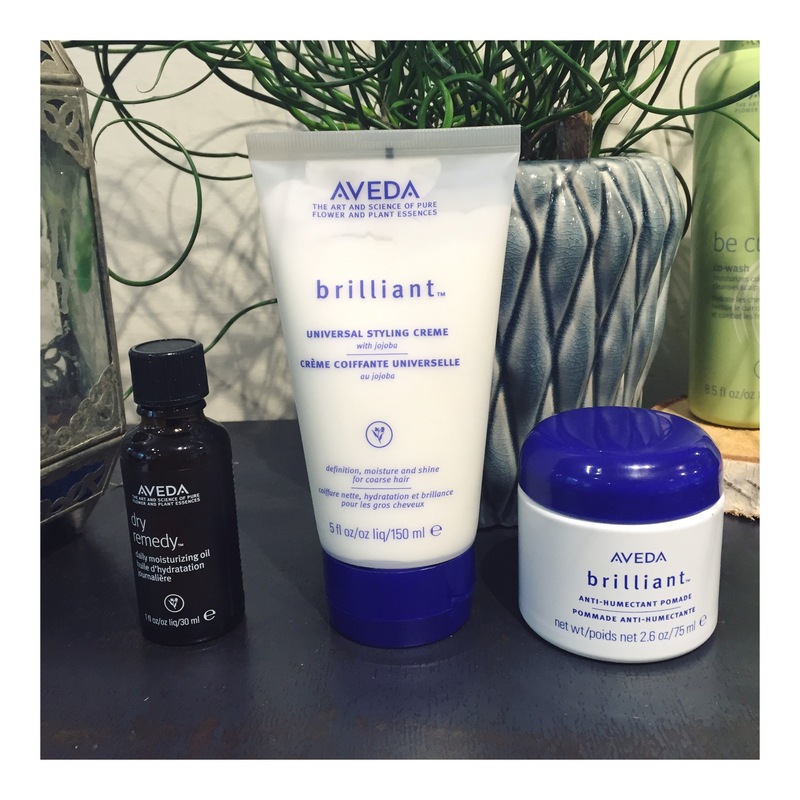 Subrina used Aveda’s ‘brilliant’ & ‘be curly’ products to tame my curly mane. She even showed us a quick and easy way to get my hair underneath a swimming cap. Look out for the video tutorials over on Womens Health .com, they are coming soon! Thanks again for having me ! I think it is a shame that Hershesons Braid Bar don’t provide a representative “portfolio” given that braiding is style that is used by a number of cultures especially those with afro hair. BTW great blog – I love the photos! On another note, would love to hear more about how you got those abs??? Next PostRed Berry Breakfast !